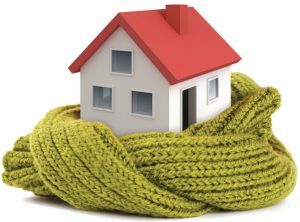 10 Ways To Save On Energy In Your Home This Winter - Loftus Electric, Inc.
1. Weather strips your doors and windows. We all know there are cracks around the doors and windows of our homes, but how big is too big? If you can slip a piece of paper through the crack, you are losing too much precious heat to the elements. Add weather stripping or door sweeps to keep that expensive hot air in your home. 2. Turn down the heat when you don’t need it. Most families now spend a significant portion of the day out of the house. Turn down the thermostat when you’re not home to keep costs down. You can also turn down the temperature at night and add warmer sheets and blankets to your beds. Of course, getting up in the morning could be that much more difficult! Fans aren’t just for summer. Locate the small black switch on the side of your ceiling fan and give it a little flick. Fans that run clockwise push heat down, keeping it in the rooms instead of floating along the ceiling. 4. Only heat the main rooms. Do you have guest rooms or hobby rooms you don’t use much? Close the vents and shut the doors to those rooms so that you can funnel heat to the rooms you use more often. 5. Consider a space heater. Central heat and air isn’t the only way to go. Consider turning down your thermostat and using space heaters to heat the rooms you use the most. This can save you significant money, especially if certain rooms heat faster than others. 6. Plug in the humidifier. Artificial heat makes the air in your home very dry. A humidifier will add moisture to the air, making it feel warmer than normal. Moist air will also keep your skin and sinuses from drying out, which will only make the winter that much more enjoyable. 7. Keep your furnace clean. As always, basic maintenance will go a long way to increasing energy saving. Clean your furnace and check the filters regularly. Replace filters as necessary and make sure all the vents are unblocked to keep maximum heat flowing through your home. Leaky doors and windows aren’t the only energy thieves in your home. Year round, make sure you’re unplugging TVs, computers, and gaming systems when not in use. Even when electronics are off, they pull energy from the outlets, increasing your energy bill every month. 9. Wash in cold water. If you don’t already, wash your clothes in cold water. Heating water takes a lot of energy, and washing your clothes in cold water will cut down on it significantly. LED lights use about 75% less energy and last 25% longer than traditional lights. They’re also less breakable and therefore safer than incandescent. Remember to unplug them when they aren’t in use!